With over 12 years’ experience as a RICS regulated chartered surveyor, we are Wordsworth Surveyors. Tim Wordsworth graduated from the Royal Agricultural College and went on to found Wordsworth Surveyors. With offices in the Weald of Kent and Central London, we have many years’ experience delivering a high-quality chartered surveying service in Central London and Tunbridge Wells. Wordsworth Surveyors are established as the first choice surveyors for many reputable clients including solicitors and estate agents. We are a trusted and verified chartered surveyors with an in-depth knowledge of the chartered property surveying industry. We are a RICS regulated chartered surveyors with your best interests as our priority. We can offer a RICS Homebuyer Report and a RICS Building Survey. 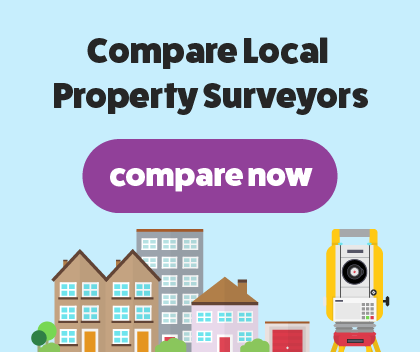 We will come out on top when you compare surveyors. At Wordsworth Surveyors, we are proud to offer a RICS home buyers report. This survey is designed for properties that were constructed within the last 100 years, that remain in good condition and that haven’t undergone any reconstruction work. We will carry out a detailed examination of your property’s structure and condition, searching for any minor and major defects that are easy to miss. The most common issues that are usually found during our homebuyer report are infestation, damp, rot, damage to walls etc. We will present our findings in a clear, jargon-free, easy to understand report. A RICS registered chartered surveyor will explain the report to you so you’re fully aware of our findings. Our RICS structural survey is the most detailed survey as this covers everything in our homebuyer report but we look behind furniture and under floorboards. A RICS regulated chartered surveyor will carry out a thorough examination of your property, searching for defects and damages that will only get worse. We will give your property a condition rating and then advise you on what to do in regards to repairs. We will present our in-depth results in an easy to read report, explaining everything in great detail to you.